Ireland's history and folklore draw in many a wandering soul, but its physical features will charm you just as much. The strong jawline of rocks defining the coastline contrast with soft, pretty scoops of beach, or stretches of freedom-inducing sand. And the blooming countryside is so lush and healthy that you might find it distracting. Plenty of stamina is needed if you want to enjoy this country fully. And if you can drive, walk or cycle out into the more remote regions you'll be rewarded - these are certainly some of the best places to stay in Ireland. Ireland's colourful history is woven into every street corner and every Catholic church you pass. The lyrical language lends warmth to every welcome and an extra ring to the folk music you'll hear almost everywhere you go. Ireland's long struggle for independence and national identity make this place an intelligent and interesting travel companion. If you're here for traditional Ireland head out to the dramatic scenery of County Donegal, the wild, wind-whipped peninsulas of the south east, home of the wonder-inducing Cliffs of Moher, or the mysterious Connemara region. Here you'll find the thatched roofs, fishing villages and amiable pubs - though of course you will find those everywhere! If you're after solid history rather than traditions you'll be wanting Dublin's St. Patrick's Cathedral, Trinity College or Kilmainham Gaol, Cobh's Titanic Museum, Cashel's Rock of Cashel, or Newgrange and the other prehistoric monuments on Bru na Boinne. Ireland is rich with castles and forts, ruins and monuments, museums, galleries and important reminders of the past - both distant and more recent. If you want to see the Ireland in the incredible photographs used to entice us there, drive or cycle the Ring of Kerry, step on the Giant's Causeway, walk amongst the majestic mountains of Mourne, or look out across the epic Atlantic coast. Counties Cork and Kerry are known for their beauty, and Sligo is pretty spectacular as well. There are so many spectacular sights, but sometimes the green rural vistas, with their little villages and rolling hills are just as pleasing. Dublin is regularly called friendly, arty, welcoming, beautiful and atmospheric. People do find that, despite being Ireland’s capital, Dublin does feel more compact and village like than many European cities. It has some beautiful architecture - from medieval castle and cathedrals to the Georgian splendour of some of its houses - but it also has some corkers, and it's the miss-matched effect which really gives Dublin its great character. Dublin also has a wonderful mix of strong local traditions and cosmopolitan forward thinking. There are a thousand pubs to choose from and restaurants serving food from all over the world. Then there’s Cork, whose rivalry with Dublin is legendary. Locals call this the ‘real capital of Ireland', or, from the more mischievous ‘The People’s Republic of Cork’. There are plenty of folk in Cork with a mischievous air and a song in their hearts - or on their lips even. Cork's youthful energy comes partly from its rebellious traditions and partly from its university, which injects new blood and ideas into the city on a regular basis. This makes for vibrant nightlife and a great live music scene. Even Dubliners might agree that Cork is Ireland's foodie capital. Visitors should visit the markets as well as sampling some of what's on offer in the slew of cafes and restaurants. 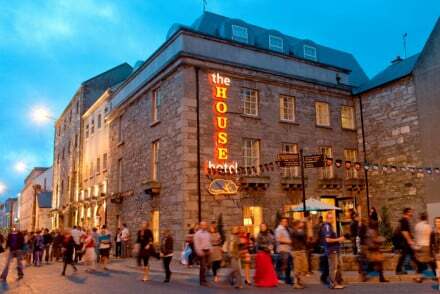 Galway is known for its tides and its summers, which are packed with over fifty festivals a year. Kilarney is the starting point for many trips along the Ring of Kerry. Kilkenny is a medieval beauty with an imposing Norman castle. Silgo has the mountains, the beaches and W.B. Yates. Ireland's not short of pretty spots with good access to the country's scenic heartlands, but if you like a friendly, riverside city featuring plenty of medieval and Georgian architecture and with views over a majestically dilapidated Norman castle, then Limerick is for you. The Connemara in Galway is wild, winding and spectacular. Its peninsula offers hidden hamlets on secluded bays and its interior boasts black lakes, quartz peaks, quiet valleys and bog and swamplands. Brú na Bóinne in County Meath is an incredible ancient necropolis a thousand years older than Stonehenge. This incredible mausoleum for the most important early Irish was the largest man-made structure in Ireland until the Normans built their castles four thousand years later. Dingle Town, the fishing port on the spectacular Dingle Peninsula, is quaint, creative - several shops double as pubs - and cosmopolitan. The whole region is Gaeltacht. which is a good reason to visit in itself, but it’s also ruggedly spectacular. See the Aran Islands in Galway Bay, which are barren and rocky, but littered with amazing stone forts. And the Burren, another rocky region, where it seems hardly anything could grow, but things do. This is where you see the spectacular Cliffs of Moher, sheer, 200metre high cliffs overlooking Galway Bay. Whilst in Dublin, history-lovers and mere tourists alike should make time to visit Dublin Castle, dating all the way back to the year 1204. The Guinness Storehouse is also an extremely popular attraction. What with the complimentary pint and/or tasting sessions. In Cork it’s the market you really need to visit. A port city, Cork once made a packet providing butter to English ships. As well as butter, Cork has wonderful cheeses, sausages, breads. Cork even makes its own stouts, to rival Dublin’s. Some of Cork's other, more formal attractions, are the Crawford Municipal Art Gallery, with its small but excellent collection, St. Fin Barre's Cathedral, Cork City Gaol - don't worry, it's not a prison anymore - and the Blackrock Castle Observatory. Limerick’s King John's Castle, built in 1205, is one of the city’s historic treasures, but you might also want to visit St. Mary's Cathedral and the Bishop’s Palace, the Potato Market and the Milk Market too. If you’re here to kiss the Blarney Stone and be given the ‘gift of the gab’ you’ll need to visit Blarney Castle in County Cork. With so many different areas and things to see and do there is no shortage of beds in the best places to stay in Ireland. The problem is where to start. If you're looking for big and luxurious, The Westbury Hotel is a splendid choice. Situated in one of the most desirable locations in town, the property embodies a classical Art-Deco style hotel with fresh interior design. The Dean is a fantastic city break option - it features chic, boutiqe interiors that belie the building's Georgian history and there are three stylish bars on site. Plus, it's just a stone's throw away from the city's best bars and clubs. The Brooks Hotel is a superb option for a Dublin break. 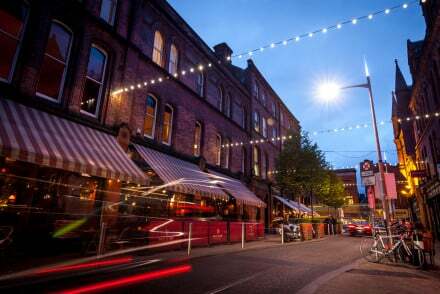 Its central location means there's no excuse not to see all that the city has to offer, plus it has a stylish cocktail bar, a cinema and Francesca's restaurant which serves up splendid grub. The Cliff Townhouse has everything that you'd want for a grown-up city break - it's centrally located and features smart, boutique interiors with an array of colourful furnishings. Their excellent restaurant specialises in seafood dishes and you can relax with some champagne in the oyster bar. Dylan is arguably Dublin's funkiest hotel - and possibly most colourful. Red and lime greens seem to be the favourites, and there are bold patterns and big furniture. Bedrooms are calmer than the public rooms and the welcome is very warm for such a hip property. 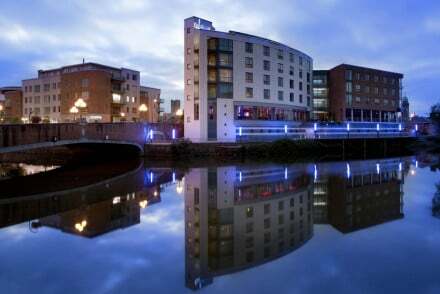 The River Lee Hotel is a large hotel, right on the river, as the name suggests, with a contemporary, welcoming feel. It's modern, elegant, with the feel of an especially tasteful business hotel, but one with a great spa as well as fitness centre. Hayfield Manor is almost as central, yet feels a world away - a county house hotel in its own secluded grounds. There's gourmet food here on offer in two different restaurants, plus a spa and family suites. No 1 Pery Square is an elegant townhouse hotel in one of Ireland's finest Georgian squares - in the very heart of Limerick. From the outside it doesn't look as if it could fit 19 generous sized, luxuriously furnished rooms and one suite, but it does. No. 1 Pery Square also has a spa and a well-respected brasserie serving French influenced Irish classics. It might not be the kind of historic you were thinking, but The Clarence is a Wild Card with plenty of recent history kudos - it belongs to Bono and The Edge. An Riasc is a charming, stone farmhouse built over 200 years ago on the Dingle Peninsula. Now a four room B&B, this is the perfect spot for exploring the treasures of the Dingle Way. 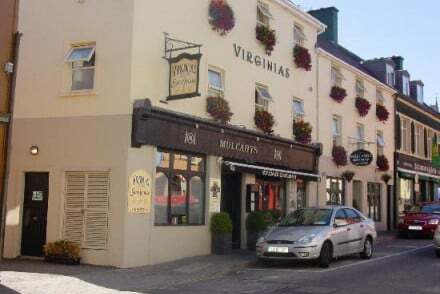 The Wild Honey Inn in Lisdoonvarna, County Clare is in the heart of The Burren, just down the road from the Cliffs of Moher, close to idyllic walking routes and great for cyclists and surfers as well. Ballyfin is a totally opulent Regency country mansion at the foot of the Slieve Bloom mountains, with 610 acres of parkland and manicured grounds and a museum worthy collection of Irish art and china. Hilton Park in County Monaghan is a stately home set in rolling, rural grounds, with six beautiful, and enormous rooms. Expect four-poster beds and elegant antiques. Plus excellent cuisine. Tankardstown House in County Meath is a gorgeous, Georgian property set on 80acres of beautiful woodland. There are just six rooms, all of them different and all delightful, plus landscaped gardens and an excellent restaurant. Castlewood House, a delightful B&B overlooking magical Dingle Bay, is the perfect place for walkers, or anyone looking for a spectacular escape. But it's their award winning breakfast that you'll be wanting to return to. 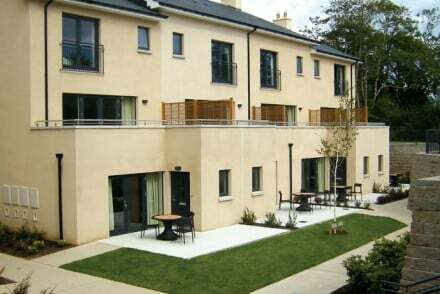 QCs Townhouse is a stylish restaurant with four generous rooms on the Ring of Kerry. 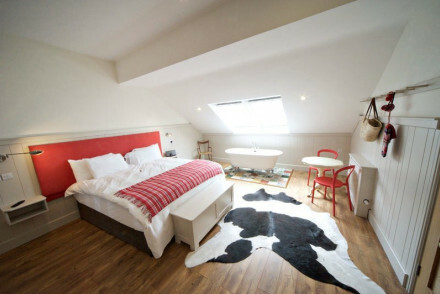 Ticks all the boxes for one of the best places to stay in Ireland without breaking the bank. 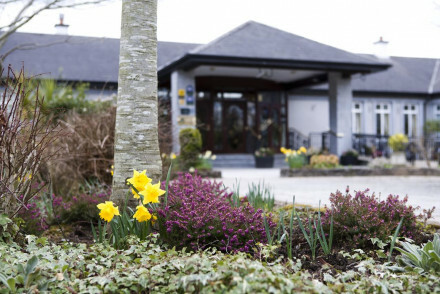 Coopershill House Hotel in County Sligo is a luxurious family owned country house hotel which is so traditional that there's log fires and magnificent views in the place of TVs. Waterford’s The Cliff House Hotel is a contemporary hotel with spectacular sea views and an award-winning restaurant. The design is ultra modern from the infinity pool to the spectacular glass-walled dining room. There’s a great spa and bright bedrooms with private balconies. For something really special consider Ballyfin, an immaculately restored, opulently furnished, Regency mansion at the foot of the Slieve Bloom mountains. The words ‘sumptuous’ and ‘five star’ don’t really say enough, but they have some beautiful art and will even do your laundry for you. 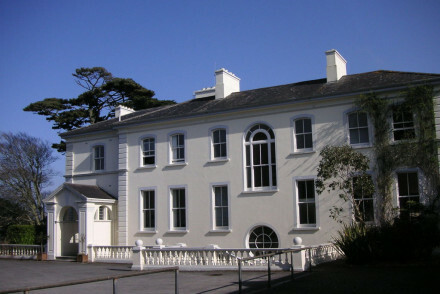 Dunbrody Country House Hotel has a renowned cookery school and restaurant and a petit spa. It’s less well known for its beautiful gardens and elegant, classical interiors, but they’re certainly charming. County Donegal’s Rathmullan House is a charming boutique hotel surrounded by forest and rolling lawns, which roll all the way down to the shores of Loch Swilly. There are 26, traditionally decorated rooms, two bars, a restaurant, pool, tennis courts and a spa. Gregans Castle Hotel is an 18th Century manor house hotel with stylish decor that's been appreciated by JRR Tolkien, CS Lewis and Seamus Heaney. Marlfield is a charming country house hotel set in 35 acres of gardens. This is a romantic spot -perfect for escaping modernity and letting traditional Ireland take over. The Lord Bagenal is a traditional, riverside Irish pub, but with the addition of a contemporary hotel and popular restaurant attached. Hayfield Manor has all the elegance and grandeur of a country house hotel - and its own secluded grounds, but it's just minutes from Cork's famed English Market. Carrig Country House in County Kerry is a lakeside Victorian residence turned country house hotel, perfect for the location, the views and the food! Ballywarren House on the edge of the Connemara is an elegant, ivy-clad B&B surrounded by green valleys and sprawling lakes. The Aberdeen Lodge is a lovely Victorian mansion turned B&B on a desirable residential street in Ballsbridge, Dublin - just 8 minutes from the centre of town by DART train. This property features smart accommodation and amongst the 20 rooms are a couple of family sized suites. Enjoy their award winning breakfasts each morning to set you up for the day. Ariel House is a converted Victorian townhouse on Lansdowne Road, Dublin - which is super central for all Dublin's main sights and great for the rugby. With classy rooms starting from around £70 per night, it's a splendid option for a budget break. The Republic of Ireland has four international airports: Dublin Airport - which has the largest offering of connections, Shannon Airport - close to Limerick and good for the US, Canada, the Middle East and the UK, Cork Airport - which is good for Europe, and Ireland West, or Knock Airport - which is good for the UK. If you want to hire a car - which we strong adivse if you’re planning to do some exploring - we recommend you visit our online partner Rentalcars. Ireland’s climate isn’t known for being extreme, in fact, if anything, it’s known for hosting four seasons in a single day. In winter you can expect average temperatures between about 4 and 7°C, while during summer average temperatures are between 14 and 16°C. Whenever you visit there will be a decent probability of rain. 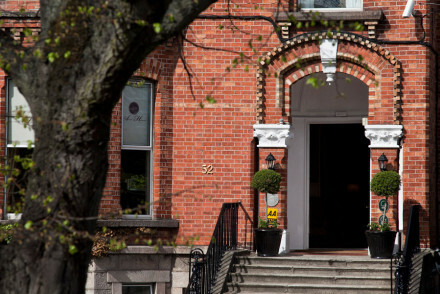 Refine your search to the best places to stay in Dublin? 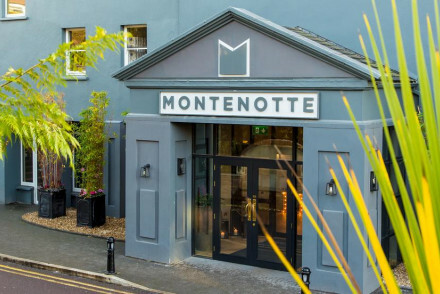 Or the best places to stay in Cork? Or consider County Kerry? County Galway? Or County Clare? Friendly guesthouse ten minutes from Roughty River. Interiors are traditional with pine furniture and carpeted floors. Library to enjoy complimentary tea and coffee before setting off to explore the area. Excellent value. Super stylish restaurant with rooms on the Ring of Kerry. Four spacious bedrooms with king sized beds, wooden floors, roll top baths & Bose docking stations. Restaurant specialises in fresh fish caught from their own boat. Chic spot that won't break the bank on Ireland's West Coast. A contemporary harbour side property offering both style and luxury. Individually designed rooms feature floor to ceiling windows, pops of colour coming from the soft furnishings and sink-into beds. The glamorous Panorama Bistro and Terrace offers superlative cuisine specialising in seafood. City Style - An uber chic hotel complete with trendy bar and harbour views. Sights nearby - Make a trip to the medieval Blarney Castle located just outside Cork. Local markets - Visit the vibrant covered English Market. With luxury accommodation split amongst three different locations you can choose Country House, Garden Mews or Lake Lodge. Rooms are contemporary and sleek, and Liss Ard is very family friendly with numerous activities on site. Cuisine is governed by "slow food" rules. Perfect for a country escape. Combining excellent rooms, an awarding winning restaurant and an extensive spa within a beautiful woodland setting, Fitzgerald's Woodlands House Hotel & Spa is a fine establishment. Great walks - The surrounding woods are full of beautiful walking routes. 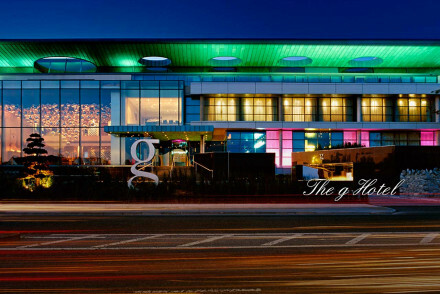 Set in Limerick's Medieval Quarter overlooking the Abbey River, the Absolute Hotel is smart, contemporary establishment. Featuring sleek rooms, a lively bar with a creative cocktail menu and an atmospheric grill restaurant. Local exploring - A great base for exploring Limerick and the surrounding countryside. Sights nearby - Five minutes walk from both the Limerick Cathedral St. Mary's and The Treaty Stone. Local markets - Ten minutes walk from the Milk Market. Recently renovated, modern hotel with state-of-the-art leisure facilities. Simple rooms with WiFi, satellite TV and excellent sea views. Superb health club, spa and cryotherapy clinic. 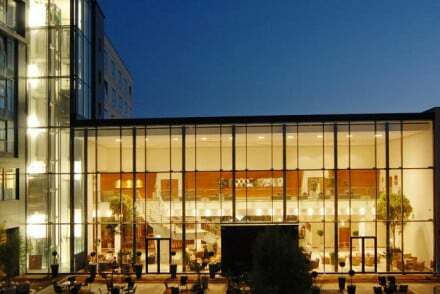 A large functional hotel that can accommodate all requirements for business and leisure. A quiet luxury retreat with spa and golf course just an hour from Dublin. Fantastic for groups, families and weddings. Beautiful sea views from crisp bedrooms - some with balconies. Perfectly unspoilt sandy beaches great for long walks. A charming and quiet spot, ideal for a weekend getaway. Families - The Gate Lodge is perfect for groups or families. Spa breaks - Winner of the Tatler Hotel Spa of the Year 2012. An imposing pink Georgian house situated in the glorious countryside of County Mayo. True to its architecture the property is filled with elegant antiques, decorated with softly patterned wallpapers and lit with chandeliers. Elegant yet friendly this is a superior country stay. Country Escape - A large Georgian house hidden within the forest. A tranquil rural hideaway. 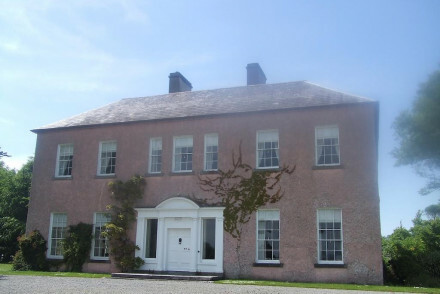 Fishing - The property is ideally placed in the renowned fly fishing and game angling waters of the West of Ireland. Great walks - Explore the lakes and forest of the surrounding area. A convivial family-run B&B on the beautiful island of Achill, County Mayo. Each room has a homely feel and affords great views either out to sea or of mountains. The perfect launchpad for exploring the stunning coastline line and fascinating heritage of Ireland's largest island. Local exploring - An ideal base for explore the rich culture and heritage of Ireland's largest Ireland, rent a bike and work off your own steam. 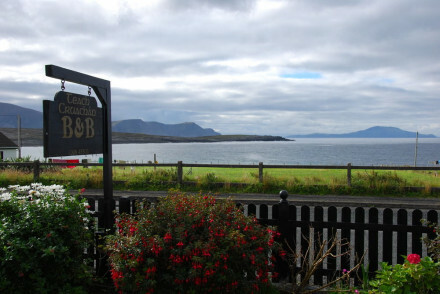 Romantic Break - Treat yourself to a secluded and remote romantic break on Irelands stunning west coast. Sights nearby - Franciscan Monastery, Kildamhnait Castle and Kildownet Castle are all within ten miles. Great walks - There are a multitude of stunning walks around the area and along the nearby Keem Bay.